Farmstead Cheeses and Wines was founded in 2003 in order to provide the finest in boutique and bargain wines, hand cut artisan cheeses, oils, vinegars and accessories from around the world. We strive to provide superlative customer service in a convivial and educational environment. We dislike food and wine snobs as much as you do, but that doesn't stop us from finding under the radar and hard-to-find wines and perfectly presented artisan cheeses. Every week we conduct educational wine tastings in each shop, and always have a good supply of artisan oils on hand at the store. Farmstead's owners and operators, husband and wife team Carol Huntington and Jeff Diamond, bring a passion and knowledge of food and wine that is deep, pervasive, engaging, and fun. Jeff brings more than twenty years of marketing and public relations experience to Farmstead, while Carol teaches at a public school in Berkeley. Both have traveled extensively, always stopping to sample and discover (and re-discover) local wines and cheeses. Recent wine trips trips have taken them to many of the winemaking regions worldwide, both domestic and international, where they have walked the vineyards, met with winemakers, shared meals with them, checked out the winemaking facilities, tasted barrel samples, bottle samples, finished product, and tasted, tasted, tasted and tasted again in order to find you the best wines in the world. We're on first name basis with winemakers, Master Sommeliers, tastemakers, cheesemakers, chefs, journalists, bloggers and importers around the globe who tip us off to the best wine and cheese selections possible. Our employees are an interesting lot - foodies who eschew snobbery and attitude as much as you do, and who live to help you find the right selection for your dinner party, wedding, picnic, or snack. Our first shop is located in the Alameda Marketplace along with nine other fine food purveyors and eateries. Our second store is located in the heart of the charming Montclair Village shopping district of Oakland. We have a fantastic selection of cheeses and wines with over 100 artisan, hand cut cheeses and over 600 hard to find, under the radar wines, as well as artisan oils, vinegars and gift items. 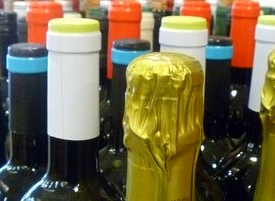 We administer several Wine Clubs that feature great wines from wine regions all over the globe. We have an active email/newsletter program, sending out newsletters filled with recipes, news, and info about new wines and cheeses and a weekly Wine Picks Newsletter that focuses on one discounted wine per week. To subscribe, click here.